Copic marker and sakura liner 3.5x5.5 Violet is usually just used for shadow when it comes to portraiture, but I wanted to experiment with monochrome. It's tough to use only one colour to make something. I just keep thinking "Oh, if I add a bit of green here, then it'll be as dark as I want it to be." 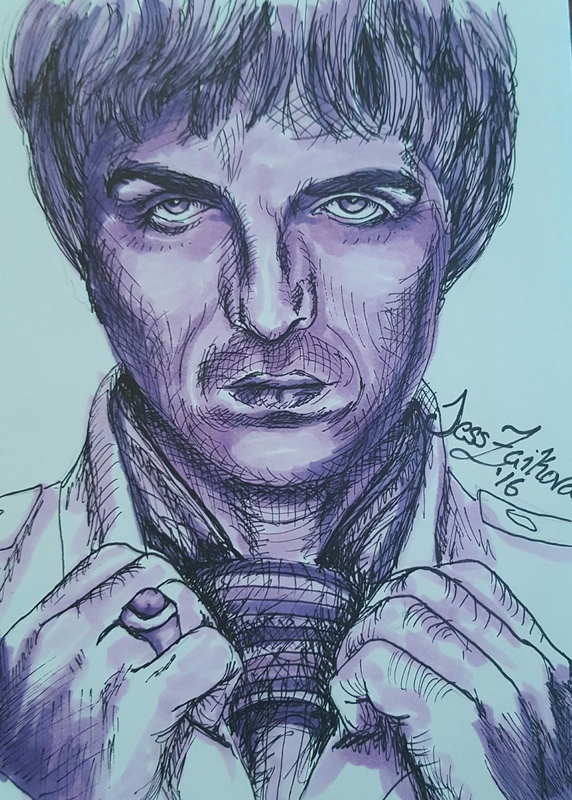 But, you know, I'll draw Noel Gallagher in every single possible way before I'm finished, I'm sure of it.